Enter Book Award Contests and Become an Award Winning Author in 2015! Enter Book Award Contest and Become an Award Winning Author! As a book publicist I am here to inform you that yes, they absolutely do matter! In fact, one of my clients won the prestigious Los Angeles Book Festival award. That then led to a flurry of media interest, which subsequently led to a major New York agent deciding to represent the book and pitch it to all the major publishing houses. This author, needless to say, was happy he decided to enter. Another client won several awards and was contacted by two movie producers about her Young Adult Sci-Fi Fantasy Fiction book. Pursuing and winning book awards will give you another opportunity to reach out to the media, booksellers and agents. As a book publicist I see the media perk up when an author client has received an award. It’s the added credibility that gives them the assurance that the book is worthwhile. It takes the risk out of the equation for the producer or reporter if it’s an ‘award winning’ book. Awards also create interest in your book, which can lead to more sales and other opportunities. A book award may cause someone to stop in their tracks and consider picking up your book in a book store. A book award can give you an edge and sometimes that’s all the difference you need to propel your book into bestseller territory. If you win you can say you are an “award winning author.” Doesn’t that sound better? Of course it does, and you get a little magic that comes from a third party endorsement because an authority says your work is worthy, and that’s priceless. Here’s a list of my Top 37 book awards worthy of your consideration. Keep in mind that links change all the time and contests come and go. Some links are for the previous year because that’s all that was available at the time of this writing. The Bottom Line: Book awards do matter. Enter a few and become an “award winning author.” As Hockey great Wayne Gretzky said “YOU Can’t Score Unless You Shoot!” Get to it and let me know how it goes. If you know of another book award I should check out, please send me the details. As a book publicist I am here to inform you that yes, they absolutely do matter! In fact, one of my clients won the prestigious Los Angeles Book Festival award. That then led to a flurry of media interest, which subsequently led to a major New York agent deciding to represent the book and pitch it to all the major publishing houses. Deals are in the offing. This author, needless to say, is happy he decided to enter. Here’s a list of my Top 32 book awards worthy of your consideration. 1. Enter to win The 2013 Independent Book Publisher Awards. The contest is for independent, university, small press, self-publishers and independent authors throughout North America and overseas publishers who publish books intended for the American market. Check it out here. 2. Entering the Book of the Year Awards should definitely be on your literary to-do list. Check it out here. 3. Check out the National Book Critics Circle Awards and enter by December 1. Check it out here. 4. The Man Booker Prize for Fiction boasts that the prize is the world’s most important literary award. Entry forms are due April 2 and Finished Books are due July 1. Check it out here. 5. The Newbery Medal was the world’s first children’s book award. Enter before December 31. Check it out here. 6. Enter to win the Caldecott Medal before December 31 for your Children’s picture book. Check it out here. 7. Find out how your book can earn a Hugo Award and check out science fiction’s most prestigious award details. Check it out here. 8. Strive to be nominated and win the Nobel Prize in literature. Who can nominate? Professors of literature and of linguistics at universities and university colleges to name a few. (Another reason it pays to keep the ties your alma mater!) Check it out here. 9. The Edgar Allan Poe Award for books submission deadline is September 28. See how to submit your book here. 10. FT/Goldman Sachs Business Book of the Year submission deadline is June 30. Check it out here. 11. Enter to win the Pulitzer Prize for Fiction before January 2013. Check it out here. 12. The National Book Award deadline is June 15. Learn how to submit your book here. 13. Enter the 2013 Independent Publisher Book Awards by March 2013. The “IPPY” Awards were conceived as a broad-based, unaffiliated awards program open to all members of the independent publishing industry, and are open to authors and publishers worldwide who produce books written in English and intended for the North American market. Check it out here. 14. Learn more about how to enter to win the Stonewall Book Award. Click here for details. 15. Enter Dan Poynter’s Global eBook Awards Don’t miss this important ebook only award. Check it out here. 16. The Deadline for the Autumn House Press award for fiction is June 30. Check it out here. 17. Enter to win the Hemingway Foundation/PEN Award. Click here for more details. 18. Check out how to enter many writing contests, grants and awards. Click here for more details. 19. Find out how to make it on the Indie Next List to win an Indies Choice Book Award. Check it out here. 20. Get your book recommended for The Discover Great New Writers award. Click here for more details. 21. The Nautilus Book Award seeks books that make a difference and inspire. Check it out here. 22. 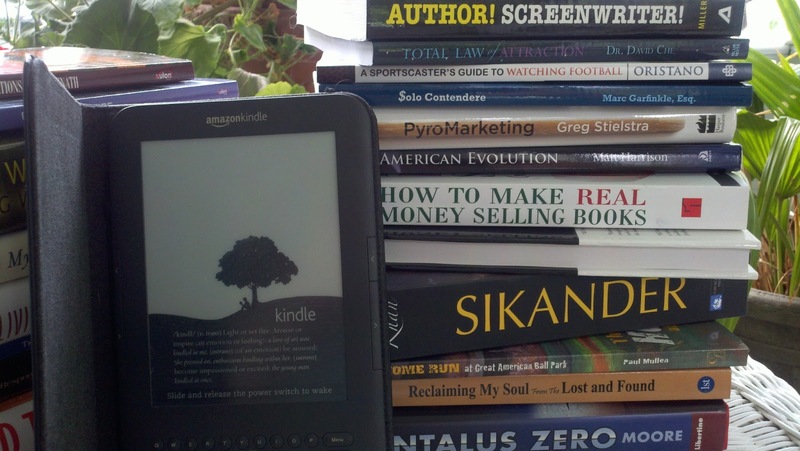 With book trailers being an important part of all book marketing strategies. Be sure to enter your book trailer in the Moby Awards. They are looking for the best…and worst book trailers. Click here for more details as they are released. 23. Here’s a service where you can enter several book festivals at the same time for about $50 per festival. This is absolutely the best idea. I’ve used this several times. One entry form, one payment, two books, ten plus book awards spread out over a year. Just do it. Check it out here. 24. The National Indie Excellence Book Awards competition selects award winners and finalists based on overall excellence of presentation in dozens of categories. Created especially for indie and self published authors. Check it out here. 25. Have you written a business book? The Axiom Business Book Awards celebrate excellence in business book writing and publishing by presenting gold, silver and bronze medals in 20 business categories. They have a year-end deadline of January 12. Click here for more details. 26. ForeWord Reviews sponsors the Book of the Year Awards. It’s open to all independently- and self-published books released that year. There are sixty categories, and in each category a gold, silver, and bronze winner. The deadline to enter is January. Check it out here. 27. The non-profit Independent Book Publishers Association’s Benjamin Franklin Awards are now in their 26th year of awarding excellence in book publishing in 55 categories. All entrants receive direct judge feedback–unique in the industry. For more information, click here. 28. USA Best Book Awards has a ten year track record of honoring and promoting books to the national and international community. The contest is sponsored by USA Book News which covers books from all sections of the publishing industry—mainstream, independent, & self-published. Entry deadline September 30. Click here for more details. 29. Reader Views Annual Literary Awards were established to honor writers who self-publish or who were published by small presses or independent publishers. Check it out here. 30. Amazon Breakthrough Novel Award. The Grand Prize winner will receive a publishing contract and a $50,000 advance. All you need is a CreateSpace account. Check it out here. 31. Writer’s Digest Self-Published Book Awards. Whether you’re a professional writer, a part-time freelancer or a self-starting student, here’s your chance to enter the only self-published competition exclusively for self-published books. This self-published competition spotlights today’s self-published works and honors self-published authors. Click here for more details. 32. Readers’ Favorite Awards receives submissions from independent authors, small publishers, and publishing giants like HarperCollins and Simon & Schuster, with contestants that range from the first-time, self-published author to New York Times best-selling authors. Check it out here. The bottom line, book awards do matter. Enter a few and let me know how it goes. If you know of another book award I should check out, please send me the details. Do book awards matter? Absolutely YES! In fact, just recently one of my clients won the prestigious Los Angeles Book Festival award. That then led to a flurry of media interest, which then led to a major New York agent deciding to represent the book and pitch it to all the major publishing houses. Deals are in the offing. This author, needless to say, is happy he decided to enter. Pursuing and winning book awards will give you another opportunity to reach out to the media, booksellers and agents. Awards create interest in your book, which can lead to more sales and other opportunities. A book award may cause someone to stop in their tracks and consider picking up your book in a book store. A book award can give you an edge and sometimes that’s all the difference you need to propel your book into bestseller territory. If you win you can say you are an “award winning author.” Doesn’t that sound better? Of course it does, and you get a little magic that comes from a third party endorsement because an authority says your work is worthy, and that’s priceless. Here’s a list of my Top 22 book awards worthy of your consideration. Enter to win The 2011 Independent Book Publisher Awards between January 1 and March 15 at secure.independentpublisher.com. Entering the Book of the Year Awards should definitely be on your end-of-the-year to-do list. Check it out at bookoftheyearawards.com. Check out the National Book Critics Circle Awards and enter by December 1 at bookcritics.org. The Man Booker Prize for Fiction boasts that the prize is the world’s most important literary award. Enter to win by July 1 themanbookerprize.com. The Newbery Medal was the world’s first children’s book award. Enter before December 31 at ala.org. Enter to win the Caldecott Medal before December 31 for your Children’s picture book at ala.org. IACP Cookbook Awards deadline is October 29. Check out how to enter at iacp.com. The Edgar Allan Poe Award for books submission deadline is August 15. See how to submit your book at mysterywriters.org. FT/Goldman Sachs Business Book of the Year submission deadline is June 30 at eiseverywhere.com. Submit your work by October 31 to win the Stonewall Book Award. Click for details at ala.org. The Deadline for the Autumn House Press award for fiction is June 30. Check it out at autumnhouse.org. Enter to win the Hemingway Foundation/PEN Award deadline is December 17. Click here for more details. The PEN/Faulkner Award for Fiction deadline is October 31. Check out how to enter at pw.org. Get your book nominated for a Quill Award at thequills.org. Voting for the Indies Choice Book Awards ends March 31 Enter at bookweb.org. Get your cook recommended for The Discover Great New Writers award at barnesandnobleinc.com. The Nautilus Book Award seeks books that make a difference and inspire. The deadline is February 25 at nautilusbookawards.com. Enter your ebook to win Dan Poynter’s Global eBook Awards by June 30 at awardsforebooks.com. With book trailers being an important part of all book marketing strategies be sure to enter your book trailer in the Moby Awards. They are looking for the best…and worst book trailers. Deadline in April. Enter at mobyawards.com. Here’s a service where you can enter several book festivals at the same time for about $50 per festival. This is absolutely the best idea. Just do it. diyconvention.com. The National Indie Excellence Book Awards competition selects award winners and finalists based on overall excellence of presentation in dozens of categories. April deadline. indieexcellence.com. Have you written a business book? The Axiom Business Book Awards celebrate excellence in business book writing and publishing by presenting gold, silver and bronze medals in 20 business categories. They have a year-end deadline axiomawards.com. ForeWord Reviews sponsors the Book of the Year Awards. It’s open to all independently- and self-published books released that year. There are sixty categories, and in each category a gold, silver, and bronze winner. The deadline to enter is January. Check out: forewordreviews.com.